It’s that time again, time to pack everything up and move. With every move comes the task of changing your address and making sure all your friends and relatives get the update. Sometimes getting the message out to everyone can be difficult. RitzPix offers an easy way to announce to all that you have a new address, and it gives you a chance to share a beautiful family photo, or picture of your new house. 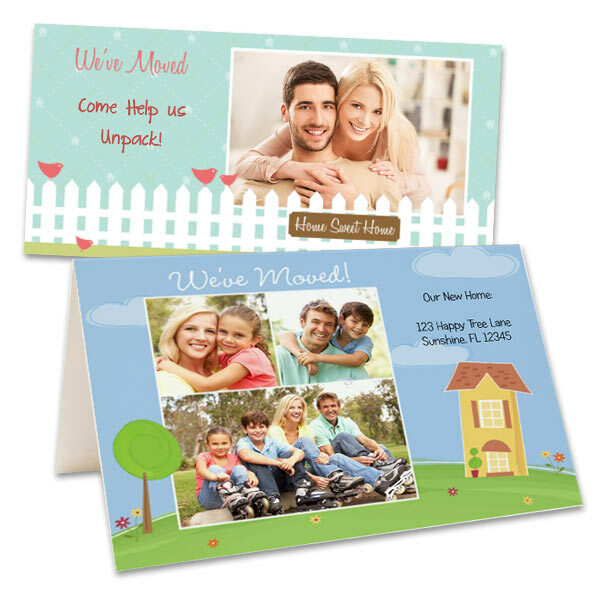 Create a personalized photo card letting everyone know you have just moved. RitzPix offers multiple moving announcements to choose from, and we include free envelopes with each card. When it’s time to move, let RitzPix help you with your new home address and moving announcements.